Nothing tastes better on a hot summer day than a fresh piece of fruit. But with the ability for vendors to sell seasonal fruits year round, it’s hard to tell which ones are actually the best summer fruits and which ones are considered garden fresh all year long. Here is a list of summer fruits in season, the best time to consume them, which fruits available year round, and other helpful tips and facts! Apricot Season: Early – Late Summer. Color should be rich orange and texture slightly soft. Apricots are an excellent source of vitamins A & C and are a good dietary source of fiber and potassium. 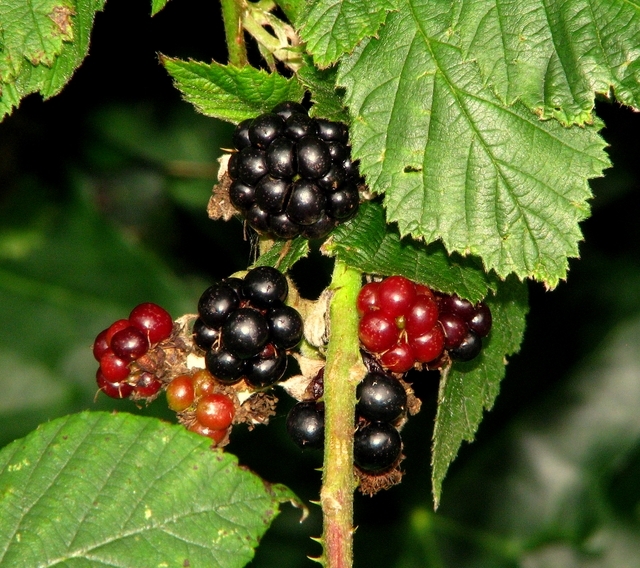 Blackberries: Mid – Late Summer. These are best to buy when shiny and plump. Rinse blackberries only when they are about to be eaten or frozen. Rinsing right away promotes quick rotting. Blueberries: May – October. Purchase when berries are a deep blue hue with a whitish, silvery bloom. Berries should be firm and heavy feeling. The blueberry should taste both tart and sweet. Cantaloupe: June – August. Ripe melons sound hallow when tapped. They also feel heavy for their size and they should have a slightly strong, sweet aroma to them. Cherry Season: May – August. The best cherries are plump, bright and have no blemishes. Cherries naturally cultivate in groups or pairs, so the best ones to purchase are the ones with the stems still joined together. Grapes: End of Summer. Premium grapes are plump and wrinkle free and the stems should look healthy. Grapes are a great source of manganese and have significant amounts of vitamins C, B1, and B6. Mangos: Best found in late Spring – Summer. Color is not an indication of ripeness for mangos. Ripe mangos are slightly soft and have a fruity aroma. They are rich in potassium and vitamins C & E.
Peach Season: Early – Late Summer. The best peaches feel heavy for their size and have a slight softness to them. Nectarines follow these same rules as they are considered fuzz-less peaches. Plum Season: May – October. This fruit is high in antioxidants and vitamin C. Purchase when their tips are slightly soft, they feel heavy in weight and smell sweet. Strawberry Season: April – June. 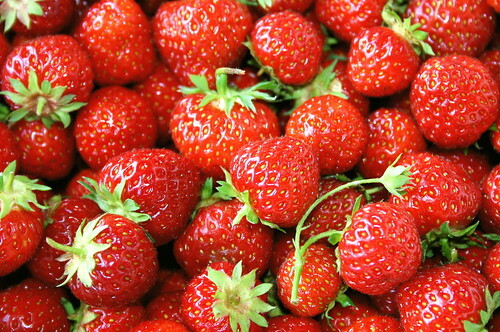 Purchase when strawberries have a deep, red hue, are firm and have the green stem leaves still attached. Strawberries are an incredible source of vitamin C, antioxidants and manganese, amongst other vitamins. They are also proven to help prevent cancer, have cardiovascular benefits and blood sugar level benefits. Plus, strawberries chocolate dipped strawberries are delicious. Apples: Pick ones that are firm and rich in color. Apples can be stored for a long time in either the refrigerator or in a cool, dry place depending on taste preference. Avocado: Although these are available year round, they are at their prime during spring and summer. The best avocados will have a slight neck and should be bought firm. They will ripe nicest in a paper bag or fruit basket. Bananas: Known for their high source of potassium, bananas also contain a lot of vitamins B6 & C. Choose bananas that are slightly firm and contain no bruises or scrapes. Oranges: The freshest oranges will be smooth, solid, and feel heavy for their size. This weight is an indication of the amount of juice in the orange. Store them at room temperature or in the refrigerator, depending on how you prefer to eat them. Papaya: This fruit is grown all year but is found to be at its peak during summer and fall months. Choose papayas with skin that is orange-red if you are eating them within a day or two. Choose more yellowy ones if you are eating within a few days. They should be slightly soft. Pears: Like most fruits, pears should be firm, free of blemishes and have a smooth skin. They are found in colors of green, red, yellow and brown, so it is hard to determine freshness based on color. Pineapple: The best time to buy this fruit is March – June, but pineapples are propagated year round. They are extremely high in manganese and vitamin C. This fruit does not continue to ripen after they are picked, so choose pineapples that have a sweet smell, feel heavy and have no blemishes or soft spots to ensure they are still fresh. Pomegranate: Color should be solid and skin should have no cracks or bad bruising. Pomegranates that are heavy for their size have the most amount of juice and are the best to eat. Fruit makes a great gift to give someone when you’re looking for a unique treat for birthdays, housewarming gifts, and more. Fruit of the Month clubs are a great way to congratulate new parents who don’t have time to shop. Or you can buy fruit online (or organic fruit online) when you just want to treat yourself! Of course, the best tasting produce is the summer fruits to plant in your very own garden!